One of my favorite days here was spent interacting with the locals. Give me farming and fishing with the local Vietnamese people over a museum any day! We used 3 forms of transportation that day — a bike, a water buffalo, and a boat. Did you catch that?! I said a water BUFFALO. This day gave us the opportunity to explore the life of local farmer and fisherman up close. We enjoyed the peaceful scenery of the rural area, riding our bikes through enormous rice paddy fields to visit an organic vegetable garden with water buffalo passing by — oh, and we stopped to ride the water buffalo too! We got to know the work of local farmers and experience their work of watering and planting vegetables with our own hands. Then we cruised down the river observing the lives of local fisherman and “helped” them with their work. We floated down the water palm coconut canal, which was used as an effective hiding place of Viet Cong soldiers during the war. We ended with a fabulous seafood lunch. After that, our vacation went in to full on rest mode. I fully believe that you must incorporate days of nothing into your travel plans, even when it’s a trip that you plan to see and do a lot on. You never want to come back from vacation feeling like you need a vacation! Vietnam has some beautiful beaches, especially in the center part of the country. Our days relaxing in Hoi An were just as important as our days spent adventuring. 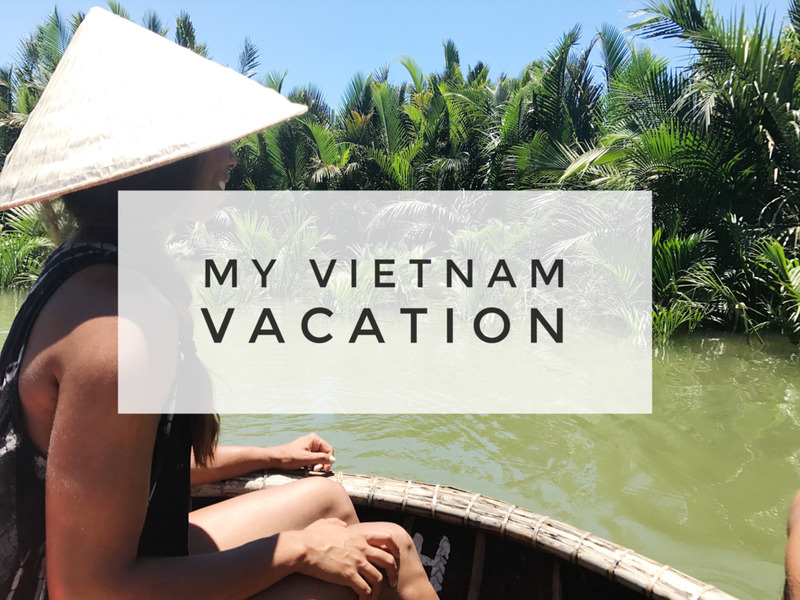 Here is a quick look at how I relaxed at the end of my trip to Vietnam. If you haven’t already, make sure you check out the post from the first part of my trip: Hanoi + HaLong Bay. I hope these videos help give you a real idea of what a trip to Vietnam looks like. I’d love to help you plan your own adventure here some time soon!